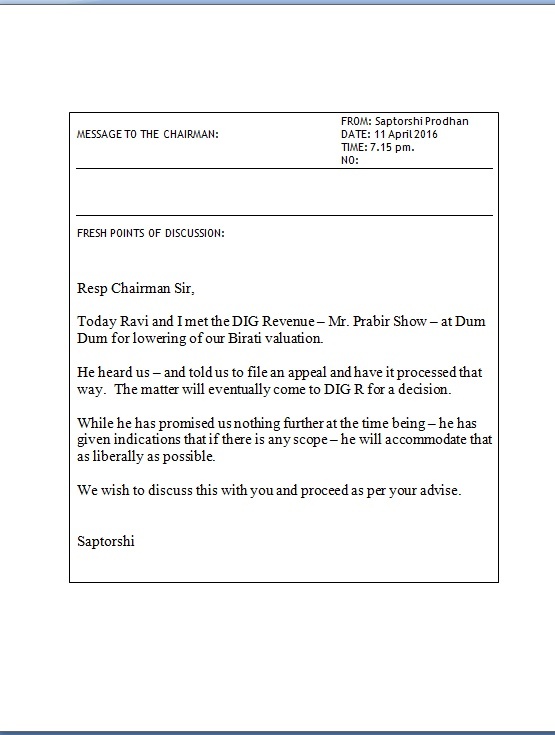 Dum for lowering of our Birati valuation. He heard us – and told us to file an appeal and have it processed that way. The matter will eventually come to DIG R for a decision. We wish to discuss this with you and proceed as per your advise.